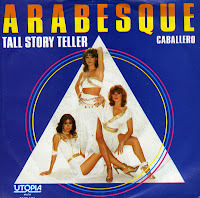 Although Arabesque broke up in 1984 when Sandra wanted to pursue a solo career, Jasmin and Michaela continued as Rouge, soldiering on for the remainder of the Eighties. 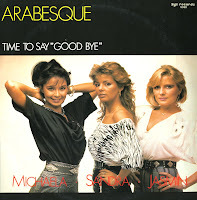 Meanwhile, the song 'Time to say goodbye' was released as a single and a 12" single by Arabeque in 1985. It was not a commercial success, but fans of the group may have been very happy to get this 'posthumous' release. 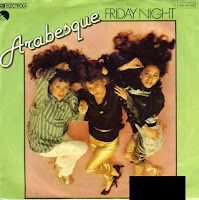 'Friday night' is the second single taken from Arabesque's debut album of the same name. This line-up did not feature Sandra Cretu yet; she joined the group a year later, in 1979. 'Friday night' is a pretty standard Seventies disco tune, charming in all its pretention-free simplicity. 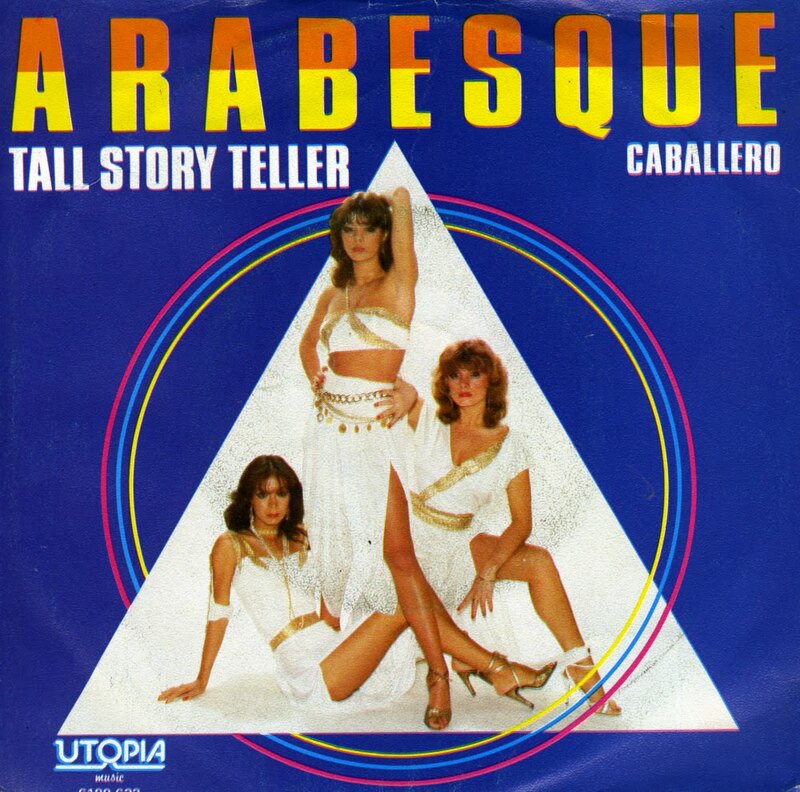 Arabesque was a German disco music group, founded in 1977. The trio consisted of Sandra Cretu, Jasmin Vetter and Michaela Rose. In 1984, Cretu would leave the group to pursue a solo career as Sandra, produced by Michael Cretu. This single is their fifth release, 'Take me don't break me' (1980). It barely made the German top 40 at the time. I bought this single because I became interested in Sandra's pre-solo activities. I supposed she always made lightweight pop. This single delivers as promised.